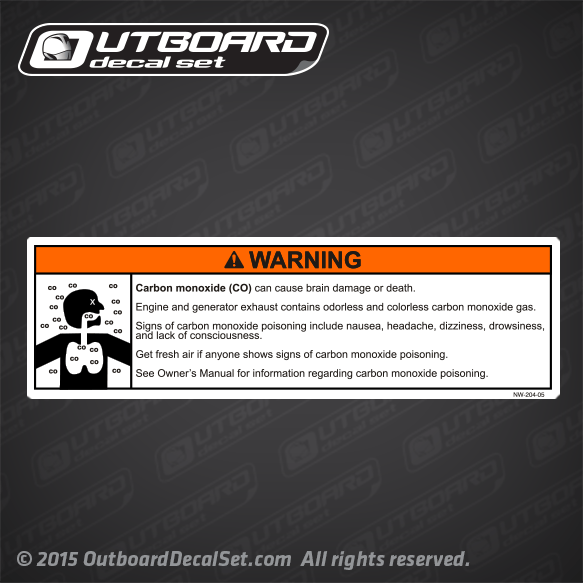 NW 204 05 Boat Warning vinyl decal. Carbon monoxide (CO) can cause brain damage or death. Engine and generator exhaust contains odorless and colorless carbon monoxide gas.